When our Messiah came to this earth it wasn't a surprise to anyone who knew the Scriptures. For centuries leading up to His coming in the flesh, the Torah and the Prophets spoke of Him. 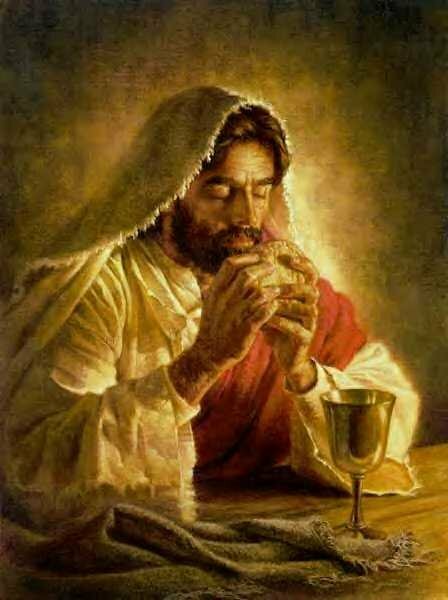 YHWH had placed His Sabbath, His feasts, and other pictures that pointed directly to Messiah, in the lives of those who loved Him. However, once Y’Shua (Yahushua) came, the shadows that foretold His coming and who He is did not pass away. These prophetic days and objects reflect the past and future coming of our King. We as His children can enjoy the blessing of YHWH's Appointed Times and special pictures of His perfect plan, even today until He returns. There is much to say and understand on the subject of Sabbath days and YHWH’s calendar. This article will only scratch the surface and therefore only serve as an overview. What is the Weekly Sabbath? 1 Thus the heavens and the earth were completed, and all their array. 2 And on the seventh day Elohim completed His work which He had done, and He rested on the seventh day from all His work which He had made. The Sabbath is the seventh day of the week, what many know as Saturday. It was created by YHWH as the last day of the Creation Week and has remained that same day ever since. Even though certain changes have been made to our calendar systems, YHWH's timing has remained consistent. Unlike the modern transition from one day to another, the Scriptural day started at sunset. The weekly Sabbath therefore begins as the sun sets on Friday evening. The word Sabbath in Hebrew is Shabbat which means “rest; cause to cease“.YHWH rested, or ceased, from His work of creation. He did this as a pattern for mankind to follow. Man was to work six days and rest on the seventh, which YHWH restated in the Ten Commandments at Mount Sinai (Exodus 20:8-11). It is interesting to see that YHWH “blessed” and “set-apart” the Sabbath.YHWH put His approval on the Sabbath and set it apart from all other days as sacred. It is also the only day of the week that He named. The Sabbath was meant to be a day for people to not only rest from their labour, but also to reflect on YHWH’s creation, provision, and all His goodness. It is a day to witness YHWH’s Sovereign control over creation. By ceasing to labour on the Sabbath we declare that YHWH is the One who makes things happen and not our efforts. YHWH also states that the Sabbath is a ‘sign’ between Him and His people, forever. Wow. 13 “And you, speak to the children of Yisra’ĕl, saying, ‘My Sabbaths you are to guard, by all means, for it is a sign between Me and you throughout your generations, to know that I, יהוה, am setting you apart. Footnote: 1The only sign of יהוה setting us apart, the only sign of the everlasting covenant, is His Sabbaths, one of them being the seventh day Sabbath. This is repeated in Ezek. 20:12 & 20. 14 ‘And you shall guard the Sabbath, for it is set-apart to you. Everyone who profanes it shall certainly be put to death, for anyone who does work on it, that being shall be cut off from among his people. 15 ‘Six days work is done, and on the seventh is a Sabbath of rest, set-apart to יהוה. Everyone doing work on the Sabbath day shall certainly be put to death. 16 ‘And the children of Yisra’ĕl shall guard the Sabbath, to observe the Sabbath throughout their generations as an everlasting covenant. 18 And when He had ended speaking with him on Mount Sinai, He gave Mosheh two tablets of the Witness, tablets of stone, written with the finger of Elohim. Upon reading this it still amazes me how it took me so long to see it. There are none so blind as those that will not see. Why do we try to find ways to bypass this message and replace it with pagan ways and not accept the Word of YHWH? Obedience is true worship. Observing the Sabbath is a sign of who you worship, who your Elohim is – who the real Creator is (YHWH – the Creator of the universe created the heavens and the earth in six days and rested on the seventh and told us to do likewise). If you don’t have this sign then who is your god? It took me and my family some time to adjust into this new discipline but after a period I have to say that the Sabbath is truly a blessing. The flesh resists this observance because the best shopping is done on Saturdays, most sport takes place then, and life just seems to offer more attractive alternatives that would have to be given up. 10 and with all deceit of unrighteousness in those perishing, because they did not receive the love of the truth, in order for them to be saved. 12 in order that all should be judged who did not believe the truth, but have delighted in the unrighteousness. Did Y’Shua annul the Sabbath day? The words spoken by Y’Shua in the New Testament about the Sabbath in no way concludes that He did away with it. In fact, when we look at what He said about His day, we can clearly see that He confirmed that the Sabbath was and is still in place as His Set-apart day. Is Sunday the Christian Sabbath/’Lord’s Day’? There are five passages which people will often use to try and show that Sunday is the ‘Lord’s Day’ or Christian Sabbath. 1. In the first section, Matthew 12:1-8, Mark 2:23-28, and Luke 6:1-5 we see Y’Shua arguing with the Pharisees who confronted Him about picking heads of grain on the Sabbath. First off, there is nothing in the Torah (Law) about not picking grain to eat on the Sabbath. This was an addition to the Law of YHWH by the religious leaders. Y’Shua was clearly NOT violating the Sabbath nor were His disciples. The Pharisees were trying to trap Him, but they themselves were the ones guilty of disgracing YHWH's Sabbath. Y’Shua ends His rebuttal to the Pharisees with the statement, “…the Son of Man is also Master of the Sabbath.” This means exactly what it says; Y’Shua is the Master of everything including the day that HE “blessed” and “sanctified” when He finished creating the universe. He also said that the Sabbath was made for man, and not the other way around. YHWH made the Sabbath for us to delight in and rest. We are not to be enslaved to this day against our will but are to enjoy YHWH’s provision and blessing in it. If this day is “made for man” then wouldn’t we at least want to see why YHWH gave it to mankind? 2. In his gospel, John notes that the Y’Shua appeared to them on the evening of His resurrection and then eight days later. First of all, there’s nothing in particular about that evening Y’Shua appeared to them. He hadn’t risen until that morning and then He seemed to have presented the saints of old to the Father as a firstfruits offering (see Firstfruits under the Spring Feasts). Then He traveled with two of the disciples, who didn’t recognize Him, to Emmaus. Then He waited for those two to run back to Jerusalem before He appeared in the upper room to all the disciples. We must not forget that the first day of the week holds some significance because our Savior rose from the grave on that day! But this was not to consecrate a new day, rather, it is because He was fulfilling the Feast of Firstfruits (Leviticus 23:9-14; 1 Corinthians 15:20,23). And it does not mean that it became the “new Sabbath”. When looking at the fact that Y’Shua was crucified on a day other than the Sabbath doesn’t mean that we should remember that day more than the seventh day. YHWH did many wondrous things on other days of the week but you don’t see anywhere in His Word where His people began celebrating Sabbath on a different day. Nor do we see Him declaring another day of rest for His people. It's simply not there! He created the Sabbath day and that has not changed! The reason that the Word appears somewhat silent with regards to the Sabbath keeping in the New Testament is because for the Jews and the followers of Y’Shua, the Sabbath was and always had been the seventh day. There was no change, nothing different. We have to remember that the biblical day starts at sundown. So when the sun sets on Saturday evening, that begins the first day of the week. Many times after a Sabbath gathering, men would continue discussing the Scriptures and might go well into the early hours of the morning. It is a possibility that after a Sabbath gathering, when the sun had set and it was now the first day of the week, the disciples broke bread and listened to Sha’ul’s message until midnight. He would then leave the next day, Sunday morning. We are confused today because we have given names to days and start the day at a different time. certainly not! We CANNOT take ONE verse and change the entire Word of YHWH to fit our theology! It just doesn't work that way, yet people have done just that. It's unbelievable how blind we can be at times. The argument here is that Sha’ul was giving instruction to the church that when they gathered on the first day of the week, they should take up an offering. However, we must look at context and meaning. Sha’ul is telling the believers to take up this offering for the Natsarim in Jerusalem. He told the gatherings in Galatia to do the same. When he visited them then he would send the offerings to Jerusalem by whomever they approved. First, he is not telling them to take a collection for themselves or any other person in their area but for the brethren in Jerusalem. This tells us that, possibly, it was not necessarily a regular offering that the gathering took up, but a special, short term collection. Another thought is that Sha’ul is helping them to give to YHWH’s work and still meet their own needs. He tells each one to “lay something aside, storing up as he may prosper,” In looking at the culture of the day, especially in YHWH's family, the first day of the week was the beginning of the work week. For someone to lay a sum of money aside on that day would give them the rest of the week to save up their wages for their own expenses. This would give them a good pattern for meeting their own needs after meeting the needs of others. It is interesting to note that some early believers did meet on both the Sabbath and the first day of the week. The Sabbath was given by YHWH from creation and the first day of the week was when Y’Shua rose from the dead. However, this does not conclude that the first day of the week replaced the Sabbath, only that believers gathered on many days throughout the week. The problem is not with meeting on other days, it is rejecting and not observing the Torah with regard to keeping the Sabbath of YHWH. The disciple’s pattern in Acts 2:46-47 shows us that the early church was meeting more than once a week to worship together and celebrate Messiah. However, nowhere in His Word did YHWH make the change of the seventh day Sabbath to the first day of the week as His set-apart day. If YHWH wanted to make that change He would have stated it plainly like He did everything else. The seventh day of the week is still His Sabbath and the day for His people to keep set-apart and rest. 5. Revelation 1:10 says, “I came to be in the Spirit on the Day of יהוה, and I heard behind me a loud voice, as of a trumpet, ”. First, what is John talking about here? He is seeing a vision of Y’Shua Who is revealing to him events that will lead to YHWH’s restoration of His people. When John says, “I heard behind me a loud voice, as of a trumpet,” this brings to mind some verses that speak of Messiah’s return, especially using the image of the trumpet (Matthew 24:31; 1 Corinthians 15:52; 1 Thessalonians 4:16). The phrase “Day of יהוה” is used only here in Revelation. It is possible that John, being in the Spirit on the Day of יהוה, is telling his readers that he is being shown a vision, by the Spirit of YHWH, of the Day of יהוה, - the end times. In other words, being in the Spirit does not necessarily mean that John is meditating on YHWH’s word when Y’Shua appears to him, as some purpose. Rather, he is in, or carried away by, the set-apart Spirit to be shown the vision of YHWH’s day of wrath on His enemies and the day when His children will be united with Him forever. John uses this exact same phrase elsewhere in Revelation to state that he was experiencing visions by the power of the set-apart Spirit. And immediately I came to be in the Spirit and saw a throne set in the heaven, and One sat on the throne. And he carried me away in the Spirit into the wilderness. And I saw a woman sitting on a scarlet beast covered with names of blasphemy, having seven heads and ten horns. Clearly these other passages reveal that John was witnessing these visions from YHWH by being in the Spirit. He was not referring to any kind of specific day of the week. How did we go from Sabbath to Sunday? In the book of Acts we read of the disciples meeting daily in the temple and from house to house. In the 2nd and 3rd centuries, some Christians began meeting regularly on the first day of the week, Sunday due to the persecution of the Jews – seventh day Sabbath keepers were associated with Jews. However, many continued to meet on the Sabbath as well. The Sabbath was made for man (us), not man for the Sabbath. We are not to be enslaved to the day, but to delight in YHWH's Sabbath (Isaiah 58:13), as it is a blessing to us and made for our good, both physically and spiritually. We can, and should, celebrate YHWH every day, but this does not change the Sabbath or YHWH’s purpose for it. Many have take Romans 14 out of context by saying that we can make any day of the week a sabbath, however, this is a poor exegesis of this portion of Scripture. It didn’t take long for Gentiles and Jews to begin separating. It became increasingly difficult under the Romans for Gentile Christians to maintain their faith. Many were tortured and killed for their allegiance to the King of kings, Messiah Y’Shua. However, Jews were given the right to continue in their religious ways because it already existed when the emperor had established rules for his own worship and the worship of Roman gods. As a result, a chasm grew between Gentiles and Jews which widened even further when Rome destroyed Jerusalem in 70 A.D. Many believers who were Gentiles fled the city before it was overrun by the Romans and this left many Jews feeling betrayed. Soon, certain “Jewish” practices seemed distasteful to some Christians who wanted to sever ties with what they called “Christ killers”. When the Roman emperor Constantine adopted Christianity as the national religion, he established edicts that further separated Gentile believers from anything “Jewish”. Before long it was outlawed for Christians to have any association with the Sabbath. We have forgotten what YHWH has given to His people - the body of Messiah. *See quotes from the Catholic church on their changing of the seventh day Sabbath to Sunday at the end of this section. Is the Sabbath for Believers? Many argue that the Sabbath is for the Jews and Sunday is for Christians. This could not be further from the truth. Before we go on, though, we must remember that we can and should worship and celebrate YHWH on any and every day of the week, but He has established a certain day for His people to rest on, that is both blessed and sanctified. Y’Shua (as Master of the Sabbath) is our true Sabbath rest, but it is still a day for us to keep. There is nothing spiritually empowering about oil, yet we’re told to anoint with it because it’s putting our faith into action. The Sabbath is similar in that our bodies need rest and our minds need to re-focus on YHWH when we get too distracted by a week of battling through this wicked world. Hebrews 4:1-10 gives us a picture of our eternal Sabbath rest in YHWH, but until then we have a physical day in which we can rehearse for that Day with Him. In verse 4 he speaks of the seventh day then in verse 7 he speaks of a certain day signifying a specific, literal day. 8 For if Yehoshua had given them rest, He would not have spoken of another day after that. 9 So there remains a Sabbath-keeping for the people of Elohim. 10 For the one, having entered into His rest, has himself also rested from his works, as Elohim rested from His own. Of course the big picture here is that without faith in Messiah there is no rest for all of eternity. But if one has put their faith and trust in Him, then there is rest from our dead works and we can get a glimpse of our eternal rest through the Sabbath of YHWH. Remember, the Sabbath, like the Feasts of YHWH, is a rehearsal and an appointed time in YHWH's calendar. HE has established it, and HE has COMMANDED us to keep it set-apart. There are two options for us today - we can do it His way through faith, or we can rebel and follow the dictates of our own evil hearts. "Choose this day whom you will serve". It was already given and now it was restated to keep the day Set-apart to YHWH. It’s interesting that the one commandment we tend to throw out has the most commentary from YHWH. And on the Sabbath day we went outside the city by a river, where there used to be prayer. And having sat down we were speaking to the women who met there. There’s nothing here about Sha’ul going to the synagogues on the Sabbath to witness, only that they went down to the riverside on the Sabbath day. And it was a place where prayer was customarily made. This was something that people were doing often - praying. Sha’ul and the others were keeping the Sabbath. The New Covenant authors never talked about keeping the Sabbath because no one had any problem keeping it! One of the big arguments from people is that the New Covenant never says anything about keeping the Sabbath, but it mentions all the other nine of the Ten Commandments. Well, simply put, that’s because no one really had a problem keeping the Sabbath. In fact, they went overboard in keeping it, however, they kept it incorrectly for the most part. In actuality, Y’Shua did address the issue of Sabbath keeping, and He talked about it more than the other nine commandments. When we read Matthew chapter 5 we see our Master addressing several commandments, including some found outside of the Ten Commandments. We then see over the next several chapters that Y’Shua does many things on, and speaks highly of, the Sabbath. He specifically shows HOW to keep it Set-apart to YHWH! For one reason or another this is overlooked by those who want to disregard the seventh day Sabbath as being relevant for Christians today. Y’Shua fought with the religious leaders about how to keep the Sabbath because they were missing the point of the day. They were caught up in their rituals and man-made rules, but Y’Shua tried to show them what YHWH wanted on the Sabbath - to do good; to call it a delight. He healed people on the Sabbath day because that’s what His Father wants - for us to be healed in every way - and His day is a picture of that. He ceased creating and rested on the seventh day because everything was finished and it was good. Many of the Jews were stuck in trying to ritualistically carry out the Sabbath and in the process, they lost the meaning. It is a rehearsal and a reminder for the people of YHWH that we will enjoy eternity in His presence! 22 “For as the new heavens and the new earth that I make stand before Me,” declares יהוה, “so your seed and your name shall stand. Isa 66:23 “And it shall be that from New Moon to New Moon, and from Sabbath to Sabbath, all flesh shall come to worship before Me,” declares יהוה. The Catholic church, not YHWH, decided to "change" the Sabbath from the seventh day to the first day of the week. Below are their reasons why. Martin J. Scott - Things Catholics Are Asked About (1927). Saint Catherine Church Sentinel, Algonac, Michigan, May 21, 1995. “Of course the Catholic church claims that the change (Saturday Sabbath to Sunday) was her act… And the act is a MARK of her ecclesiastical authority in religious things.” H.F. Thomas, Chancellor of Cardinal Gibbons. “Sunday is our MARK of authority… the church is above the Bible, and this transference of Sabbath observance is proof of that fact.” Catholic Record of London, Ontario Sept. 1, 1923. 1. That Protestants who accept the Bible as the only rule of faith and religion, should by all means go back to the observance of the Sabbath. The fact that they do not, but on the contrary observe the Sunday, stultifies them in the eyes of every thinking man. Peter R. Kraemer - Catholic Church Extension Society (1975), Chicago, Illinois. Catholic Press, Sydney, Australia, August, 1990. Catholic Virginian, Oct. 3, 1947. Question: How prove you that the church had power to command feasts and holydays? Answer: By the very fact of changing the Sabbath into Sunday, which Protestants allow; and therefore they fondly contradict themselves by keeping Sunday strictly, and keep most other feasts commanded by the same church. Question: Have you any other way of proving that the church has power to institute a festivals precept? Stephen Keenan, a doctrinal catechism, p. 174. Protestants do not realize that by observing Sunday, they accept the authority of the spokesperson of the Church, the Pope. Our Sunday Visitor, Feb. 5, 1950. “It’s not yet too late for Protestants to redeem themselves. Will they do it?… will they indeed take the written word only, the Scripture alone, as their sole authority and their sole standard? Or will they hold the indefensible, self contradictory, and suicidal doctrine and practice of following the authority of the Catholic church and wear the SIGN of her authority? Will they keep the Sabbath of the Lord, the seventh day, according to Scripture? Or will they keep the Sunday according to the tradition of the Catholic church. 8 “Remember the Sabbath day, to set it apart. 10 but the seventh day is a Sabbath1 of יהוה your Elohim. You do not do any work – you, nor your son, nor your daughter, nor your male servant, nor your female servant, nor your cattle, nor your stranger who is within your gates. Footnote: 1There are other Sabbaths, but this is the weekly Sabbath. 11 “For in six days יהוה made the heavens and the earth, the sea, and all that is in them, and rested the seventh day. Therefore יהוה blessed the Sabbath day and set it apart. In Genesis 2:3 we are told that Elohim rested (shavat) from His creative activity and set apart the seventh day as the memorial of the work of His hands. YHWH called the seventh day kadosh, which means set apart as sacred, as exalted, as honored. Just as YHWH set apart a time to focus on and honour the marvelous works of His hands, so we are commanded to regularly set apart a time to focus on and honour our own creative life in YHWH. Notice that both YHWH and man are to set apart the Sabbath and share in the esteem of this shared creative life. 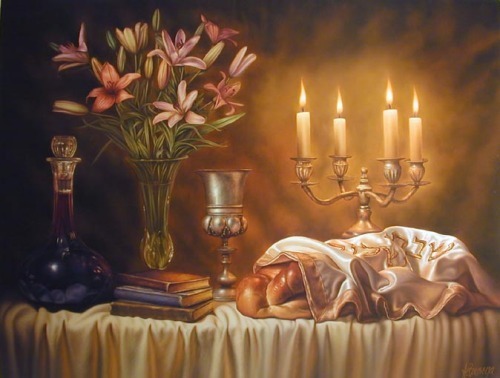 Some Jewish sages believe that the Sabbath is a picture of the Olam Ha Bah, or world to come. In the present rhythm of this life, however, the Sabbath is a Set-apart time to become spiritually re-connected with our true identities as YHWH’s very children. The Scriptures speak of celebrating the New Moon, but what does that mean? What are the New Moon festivals and how does that apply to us today as believers in Messiah, if at all? When the Scriptures speak of the New Moon it is referring to the beginning of a new month. According to YHWH’s calendar, the first day of every month is when the New Moon is spotted. Perhaps the most important aspect of the New Moon celebration is to remember that YHWH is faithful and true in His promises and every new month/moon that comes along is a reminder of that! 37 “Like the moon, it is established forever, And the witness in the heaven is steadfast.” Selah. 9 The moon and stars to rule by night, For His kindness is everlasting. 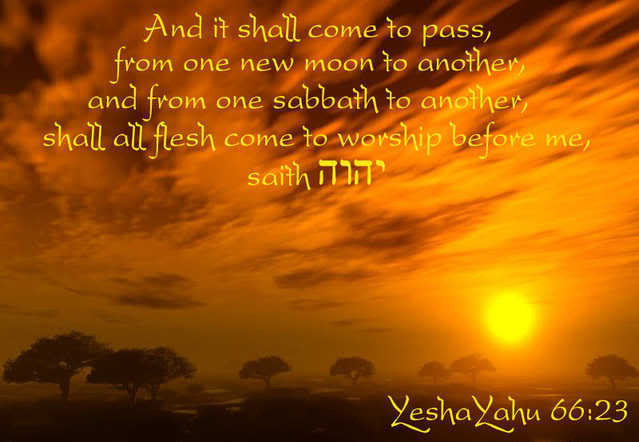 The New Moon is a part of YHWH’s assemblies and was to be celebrated along with the Sabbath and His appointed feasts. The New Moon was of religious importance to people and was honored and celebrated as we can see in 1 Samuel 20:5 and 2 Kings 4:23. In 1 Samuel we see David planning not to go to the festival of the New Moon though he was expected to be their by king Saul. In 2 Kings, after the Shunamite woman’s son died, she went to Elisha. Her husband wondered why she was going to him because it wasn’t the New Moon or the Sabbath. New Moons to be honored. The New Moons, Sabbaths, and feasts that are mentioned by YHWH in the first chapter of Isaiah are contextually shown to be His festivals that the Jews had turned into abominations. Because of their sin, the celebrations became loathsome before YHWH. This does not in any way show that He abhorred the festivals, but the hypocrisy of His people. 23 “And it shall be that from New Moon to New Moon, and from Sabbath to Sabbath, all flesh shall come to worship before Me,” declares יהוה. “And the people of the land shall also bow themselves at the entrance to this gate before יהוה, on the Sabbaths and on the New Moons. New Moons to be announced with the shofar! Blow the ram’s horn at the time of the New Moon, At the full moon, on our festival day. Even today, as we seek to follow our Master and Saviour we can fulfill His command to blow the shofar at the time of the New Moon in order to remember His faithfulness and reflect on His goodness. Remember, as YHWH said through Jeremiah, the ordinance of the moon reminds us of His covenant. - The books of Numbers and Deuteronomy both begin on a New Moon: Numbers 1:1; Deut. 1:3. ‘These are the appointed times of יהוה, set-apart gatherings which you are to proclaim at their appointed times. In the spring of every year, during the month of Abib (which means ripe ear, as in the barley), are the spring feasts of YHWH - Passover, Unleavened Bread, and Firstfruits. The Feast of Weeks (Pentecost) is fifty days after Firstfruits and falls around late spring early summer. YHWH said that His people were to proclaim these feasts in the spring (and fall) at their appointed times. The Hebrew word for appointed times is moed which means "designated times; seasons; and has the strong, personal implication of a meeting. The feasts are a time of meeting between YHWH and His people. A personal and reflective time in which YHWH's people can rejoice in His provision and faithfulness. In Y’shua, the feasts have an endlessly abundant depth of fulfillment in them. We will see that Y’shua not only revolved His ministry in part around the feasts, but that He fulfilled them in every way! If He did that at His first coming, it is likely that He will do so in His second coming. They are set-apart convocations, which is to say they are set-apart rehearsals! Think of it, everytime we celebrate the feasts we are rehearsing, or practicing, for our wedding day with the Lamb and our eternity with Him. The celebration of Unleavened Bread lasts for seven days with a set-apart day, or high Sabbath, beginning and ending the feast. Passover (also the first day of Unleavened Bread - Matthew 26:17) has become the most recognizable of the three and today people usually understand Passover, when spoken of, to include them all. YHWH commanded Israel to observe these feasts as a remembrance of their release from Egypt and their dependence on Him, but as we will see, all of YHWH’s people are to keep, and can rejoice in, these spectacular celebrations of YHWH. Celebrations that not only remind us of our heritage as believers today, but most importantly help us to focus our attention on favour of our Messiah Yahushua who physically fulfilled each feast in every way, and delivered those who believe in Him, from our “Egypt” - sin and death. The Fall Feasts of YHWH are especially powerful in terms of our future. They point to the ultimate consummation when the Messiah Y’Shua returns for us, His bride, and we will live with Him forever. Beginning with the feast of Trumpets (a picture of our Messiah's second coming), then on to the Day of Atonement (a stark reminder of the price our Saviour paid for us), and finally coming to the Feast of Tabernacles. This last feast of the season, and the year, is not only the time when Messiah was born on earth, but it also reveals to us a glimpse of our eternity with our Master and Saviour! the year 168 B.C. Jerusalem, under a peacable Syrian rule, was forced into complete submission byAntiochus IV Epiphanes, a Seleucid king (a successive ruler of the Seleucid Empire which had spawned from Alexander the Great's rule). Antiochus massacred Jews, outlawed their national religion, and defiled the Temple by sacrificing a pig on the altar to Zeus and pouring the blood on the Scripture scrolls. Many scholars today believe that Antiochus was siding with the Hellenists who were fighting with the traditionalists over who would be high priest. He tried to force the Seleucid culture on the Jewish people, but this proved to be the beginning of his downfall, for there were some who fought against him. Mattathias the Hasmonean and Judah the Maccabee (literally, Judah the hammer) led a revolt against Antiochus and his army. The small band of rebels against the large army of the Grecian empire seemed hopeless, but by YHWH’s providence, the Maccabees led the revolt and won their freedom. They rededicated the Temple around 165 B.C. hence the name ‘Feast of Dedication’. In John 10:22-23, Y’Shua went up to Jerusalem, in the winter, to the Feast of Dedication. It says He walked in Solomon’s Colonnade which is part of the Temple. Like the Maccabees rededicating the Temple after it had been desecrated by the Greeks, so we too should be reminded to rededicate ourselves from our defilement by the world. 19 Or do you not know that your body is the Dwelling Place of the Set-apart Spirit who is in you, which you have from Elohim, and you are not your own? 20 For you were bought with a price, therefore esteem Elohim in your body and in your spirit,1 which are of Elohim. Too often we are in fellowship with the ways of this world and are defiled in the process. We need to allow YHWH to cleanse us so we can be a more affective witness. The feast is also called the Feast of Lights because of the supposed miracle that is recorded in the Talmud (a collection of rabbinic writings concerning man's laws! that YHWH performed this after the dedication.) According to tradition, the Jews did not have enough oil to light the menorah and keep it lit. It would take almost eight days to get new oil made. However, they obeyed the command and lit it anyway knowing that it should not be out. YHWH then kept it lit for the entire eight days until they had produced the oil. Although this makes for a nice story, unless it is in the pages of Scripture, it is for us to question and read with caution. There is no doubt that YHWH could do such a miracle, but not even the books of 1 and 2 Maccabees record this "event". It is only found in the Talmud which is NOT the word of YHWH. However, we can still remember that Y’Shua said He is the light of the world. We, too, are called to be light in a darkened world. Like a city on a hill, we should “Let your light so shine before men, so that they see your good works and praise your Father who is in the heavens.” Matthew 5:14-16. (Xerxes I), a feast was held during which the king ordered the queen to be brought before him, but she refused. The queen was discarded and the search for a new queen began. At this time, many Jewish people who had been in captivity had returned home to Israel. However, many others remained in Persia. A scribe name Mordecai was one who remained along with his cousin Hadassah whom he took as his own daughter. She would be chosen the new queen, but she had to hide her heritage and so changed her name to Esther which means “star”. A man named Haman plotted to kill all the Jews in the land, and as it became known to the Jews, Esther soon found out and became very distressed. She told Mordecai to have the people fast for three days and she would enter the king’s courts to tell him the truth of the plot and her heritage. To enter uninvited was against the law and resulted in death, but Esther was willing to take the risk to save her people. She asked the king and Haman to a series of banquets where she finally told the king of the evil plot. Because of her braveness all the Jews were saved from certain annihilation. The book is a fascinating look at YHWH’s providence and protection even though He’s not even mentioned once in the story. The word Purim means “lots” which stood for Haman’s use of casting lots to determine on which day the Jews would be killed. Esther was a story of YHWH’s people being saved from an irrevocable decree of certain death. Through YHWH Himself, Messiah Yahushua, we have been saved from an irrevocable decree of certain death as well. YHWH must judge sin, which means we all deserve death since we’re all sinners. But when Y’Shua died on the cross, He saved all those who would believe in Him from certain death. 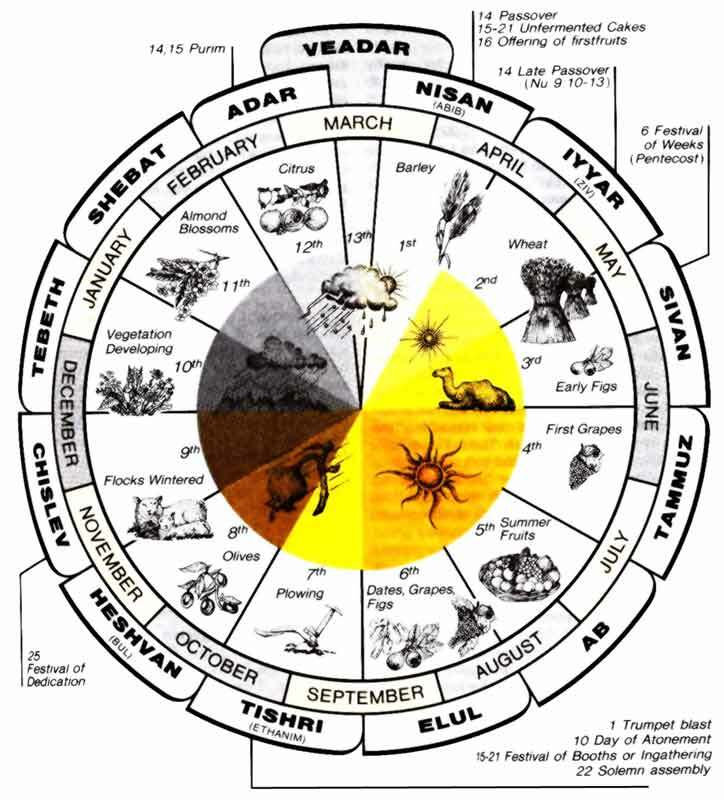 The twelfth month on the Hebrew calendar would be the same as our February. It’s no coincidence that Purim is technically at the same time as another holiday that celebrates “love” - Valentine’s Day. However, there are some major differences. Esther portrays true, Godly love in that she was willing to give her life for her people. We can also see the modern celebration practices that accompany Purim in many Jewish and even Messianic circles. That in which people dress up in elaborate masks and costume with noise makers and other trinkets. All of this is very reminiscent of Mardi Gras which falls around the same time as Purim on our modern calendars. Mardi Gras itself is nothing more than lustful, pagan celebration that has come from millenia of humanism. Satan is always trying to throw in counterfeit celebrations in the same manner as what YHWH has put in place. The enemy does this to distract us from anything truly YHWH centered. But for now, know that YHWH’s idea of love is vastly different than that of the world’s. The story of Esther is a wonderful example of a love that is truly Messiah-like. (1) The Mark of the Beast Which explains how to Identify the Mark from Scriptures. A very controversial and disturbing read. Make sure you read to the end, especially if you think you are already keeping the Set-apart Days. (2) The Return of Yahushua This article explains why we will not know when He is to return based on the Feast of Trumpets but how to be prepared for and await His return. (3) The Sign of Jonah which will show you how to count to three. (4) Pentecost Hidden Meaning shows the meaning of the two wave sheaf offerings and the necessity to have Barley at the beginning of the year. (5) Conjunction or Sighted Which? is an insightful article showing how the scriptures show which Moon is to be used to determine the beginning of the month. (6) The Glory of YHWH and the Glory of Kings shows how YHWH has hidden things and Kings are to search out those truths contained in the Scriptures. It is also the conclusion of all the evidence concerning the calendar and asks you to decide how it should be determined. You are asked to judge, based on the evidence shown you in these articles, because you have the potential to be a King in the Kingdom of YHWH. (7) Admissions of the Calculated Rabbinical Calendaris an article using the Jewish Ecylopedia and COG Quotes showing that the Churches of God do know and have admitted to knowing that the Hebrew Calendar they now adhere to, was and is in error. 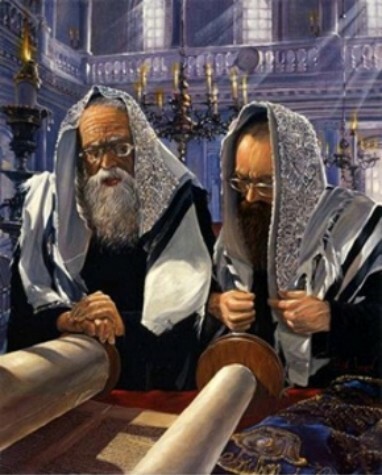 Will you obey YHWH or will you continue to follow the traditions of men? (8) The Sign The Seal and The Secret is a very deep understanding of the Jubilee message and conclussion of YHWH's Plan. Scripture portions taken from ‘The Scriptures’, Copyright by Institute for Scripture Research. Used by permission".